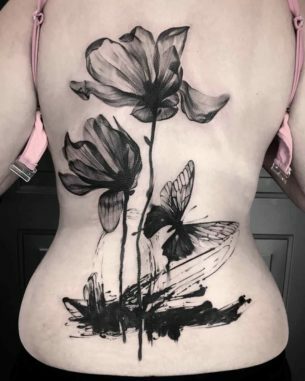 Back is nearly the best placement for a tattoo. 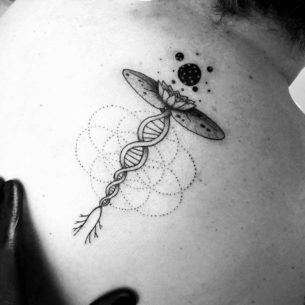 That is only one point of view, which can be a matter of an argue, however, there are several proves to this. 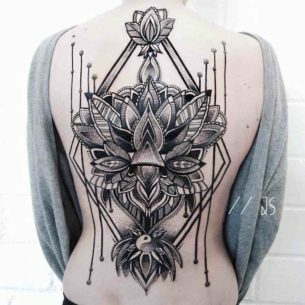 First of all, the long history of back tattoos tradition, which came to us from different ancient cultures. 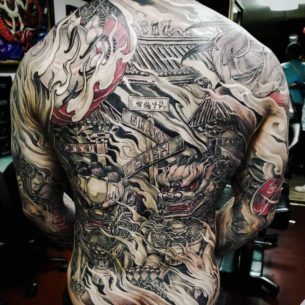 But it’s better to dwell upon the practical convenience of back tattoos. 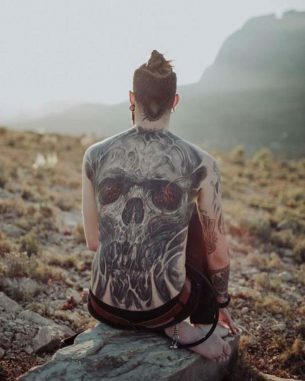 Back is the biggest part of the body. 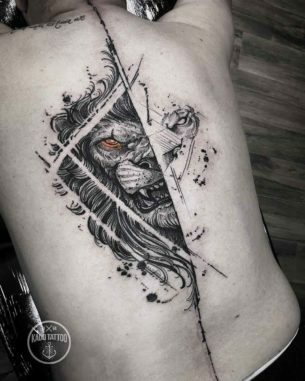 That gives an artist great possibility to create a real masterpiece, which will by awesome with both its quality and size. 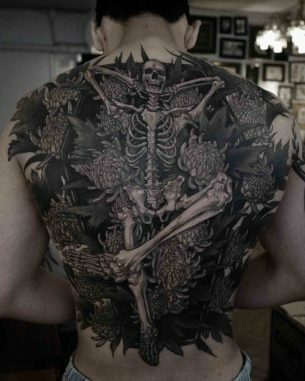 Such canvas can be filled the whole plot composed of thousand of details. 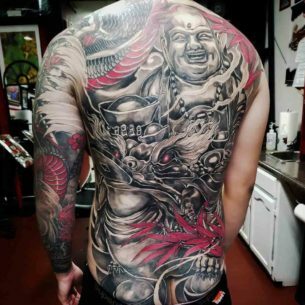 For example, angel or dragon wings tattoos on the back can be made during a lot of sessions – so much it takes to make one single back tattoo. 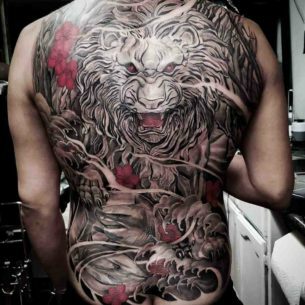 Some of back tattoos are like real paintings and such tattoo ideas take years to be finished. 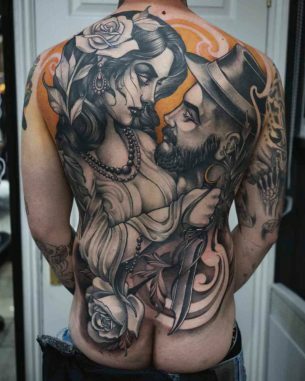 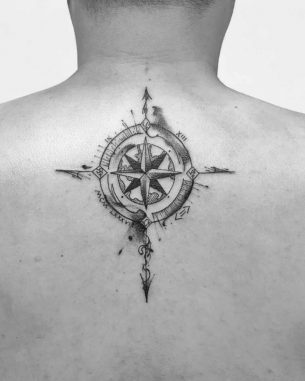 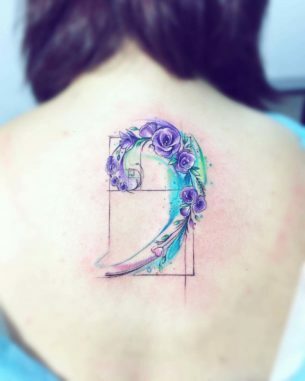 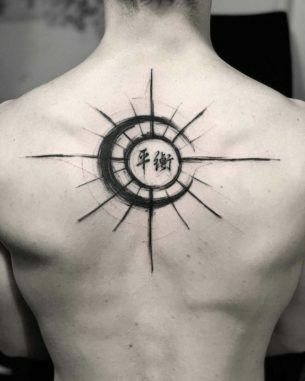 This body part is divided into several parts: neck, shoulder blade, lower back each of them is peculiar and special from the point of view of tattoo making. 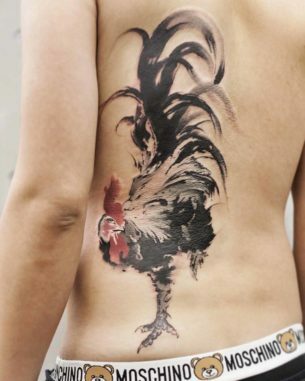 But in any case this is a great opportunity to create one hell of a giant tattoo.